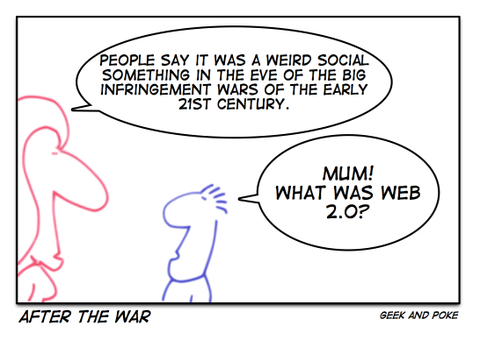 Are we in the eve of the age of the infringement wars? Does the social web (Web 2.0 or whatever it's called) survive it? See Donna Bogatin and Steve O'Hear.